Five Dundee community centres are being transformed into science hubs as part of Dundee Science Festival, with a host of free activities in store exploring topics such as mushrooms, junk fish and forensics. A diverse range of events will be held in Menzieshill, Finmill, Ardler, MAXwelltown and Douglas community centres throughout the 16 day celebration, which will run from Saturday 31 October through to Sunday 15 November 2015. Mushrooms are the topic of a messy, yet fun, family arts workshop on Monday 2 November at Finmill Centre. ‘The Magic of Mushrooms’ will run from 7-8pm, with artist Holly Keasey demonstrating how useful mushrooms can be! Free of charge, booking is advisable. 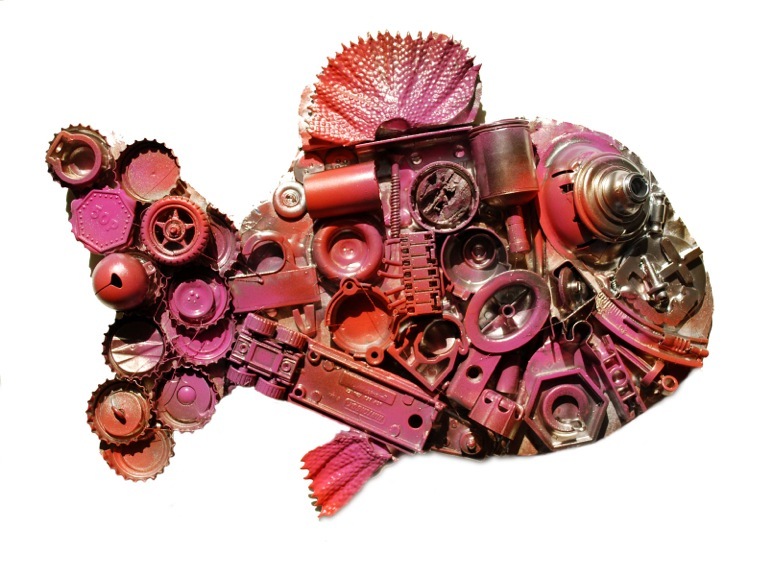 Meanwhile, children of all ages can ‘Make a Junk Fish’ at a fantastic crafts workshop at Finmill Centre from 6.30-8pm on Monday 9 November. As well as the chance to create something amazing, youngsters can learn about recycling along the way. Free of charge, booking is advisable. Sticking with the making theme, there’s the chance to ‘Make a Mood Ring’ at MAXwell Centre on Tuesday 10 November, from 6.30-8.30pm. Aimed at teenagers and adults, entry is £5 which includes your own, home-made mood ring, which responds to human touch and body temperature by changing colour. Booking is essential. Or, if space is your thing, touch down at Douglas Community Centre for ‘Destination Space’ on Wednesday 11 November. Come and see if you’ve got what it takes to be an astronaut at this drop-in evening event, from 6-8pm, while exploring a planetarium and the night skies. Free of charge, no need to book. The next afternoon, Thursday 12 November, a Dundee schools in-service day, ‘Science Adventure’ heads to Menzieshill Community Centre from 1-4pm. This drop-in, family event will be packed with experiments, gadgets and puzzles, with children taking on the role of astronaut in the cosmos space challenge and having an out-of-world experience inside an amazing planetarium. Free of charge, no need to book. Last but certainly not least, ‘CSI, CS-WHY, CS-HOW’ will take place on the second Dundee in-service day on Friday 13 November. This drop-in event will run from 1-4pm at Ardler Complex, with the chance to discover the truth about investigating bones, fingerprints and what forensic scientists really do! Take part in workshops, activities and become a forensic crime scene investigator, while also meeting real forensic experts and discovering the truth about programmes such as CSI, Bones and Dexter! Free of charge, no need to book. Throughout the course of the festival, an unusual exhibition about eczema will also be held at Menzieshill Community Centre from Monday 2 November through to Friday 13 November. ‘Atopic Art: Mini Installation’ will be able to view from 9am until 8.15pm, Monday to Friday. To view the full rundown of events, please visit www.dundeesciencefestival.org. For more information or to book tickets in advance, please contact Laura Wilkie, Festivals and Development Manager, Dundee Science Centre – email laura.wilkie@dundeesciencecentre.org.uk or telephone 01382 868608.